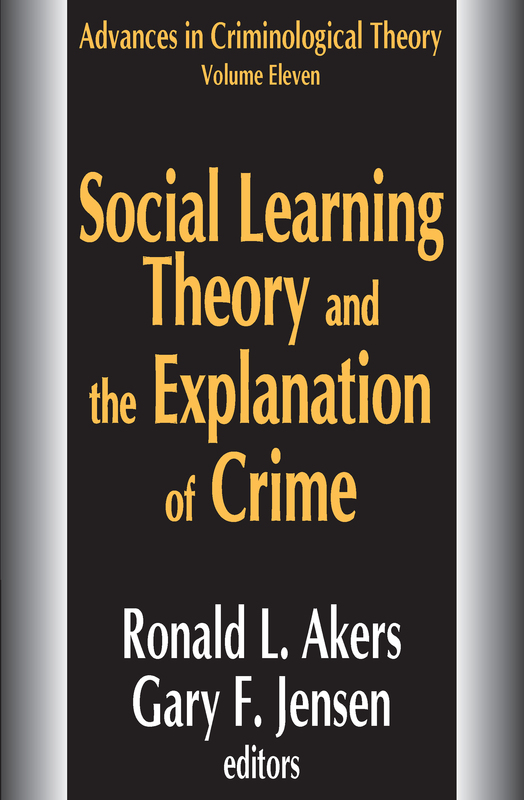 Social learning theory has been called the dominant theory of crime and delinquency in the United States, yet it is often misrepresented. This latest volume in the distinguished Advances in Criminological Theory series explores the impact of this theory. Some equate it with differential association theory. Others depict it as little more than a micro-level appendage to cultural deviance theories. There have been earlier attempts to clarify the theory's unique features in comparison to other theories, and others have applied it to broader issues. These efforts are extended in this volume, which focuses on developing, applying, and testing the theory on a variety of criminal and delinquent behavior. It applies the theory to treatment and prevention, moving social learning into a global context for the twenty-first century. This comprehensive volume includes the latest work, tests, and theoretical advances in social learning theory and will be particularly helpful to criminologists, sociologists, and psychologists. It may also be of interest to those concerned with current issues relating to delinquency, drug use/abuse, and drinking/alcohol abuse.